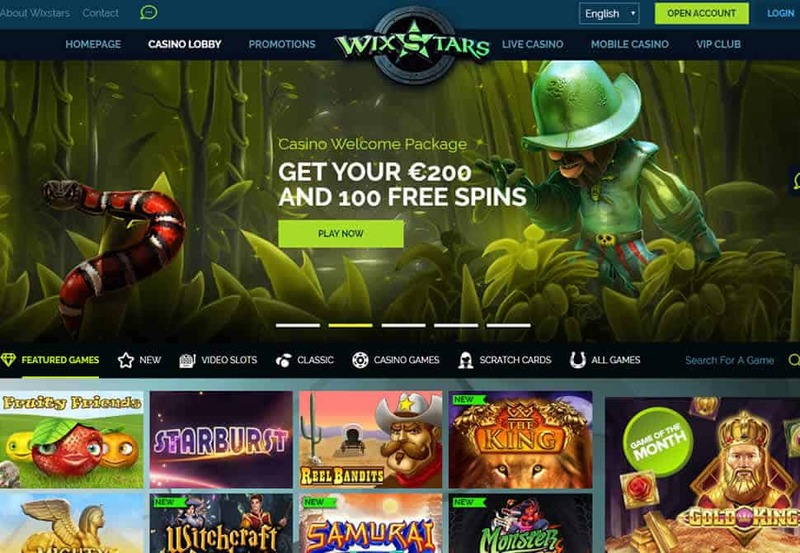 Wixstars Casino Review (The important stuff): WixStars Casino is a full-service casino, providing all of the gambling options you’d expect at any reputable wagering establishment. No matter what game you prefer to play, you’re going to find it here. The site is very well designed with a dark but colourful theme that looks good and goes easy on the eyes on any device. Log in from the home page, head for the casino lobby, and you’ll be able to jump to your favourite game in seconds. The interface of the site is put together exceptionally well. It’s clear that the designers went out of their way to make sure the site was easy to use as well as pleasing to look at. Players will find plenty of perks like welcome bonuses, regular promotions, a VIP rewards program, and the regular addition of new games. Deposit and withdrawal methods are both fast and plentiful, making it easy to get funds into or out of your account. Setting up an account is free and takes just a few moments. I was able to sign up in less than a minute and start browsing the offerings. There is, as with any quality casino, a good welcome bonus available if you want to deposit, but all of their games are also available for play in demo mode so you can try anything you like before you wager for real money. WixStars Casino is a full-service casino, providing all of the gambling options you’d expect at any reputable wagering establishment. No matter what game you prefer to play, you’re going to find it here. Solid Game library with Live dealer. USA & Aussie players = NO. Bonus Wagering Requirements 35x B – updated – better terms! Languages English, Finnish, German, Norwegian, & Swedish. Currencies EUR, GBP, AUD, CAD, NOK, SEK. Banking Mastercard, Visa, Neteller, Skrill, Paysafecard, Trustly, Giropay, Euteller, Mister Cash, EPS, InstaDebit, EntroPay, bank transfers, and wire transfers. Restricted Countries At the moment of this review, Wixstars Casino doesn’t accept players from the following countries: Australia, South Africa, U.S. Minor Outlying Islands, U.S. Miscellaneous Pacific Islands, U.S. Virgin Islands, United States. Check Wixstars Casino website for an updated list of restricted countries. The overall experience on the WixStars Casino is very enjoyable. It’s easy to tell that they aim to keep players happy and coming back. For example, one small but important detail that I especially liked is that all games seem to load in an overlay that returns you to exactly where you were when you close the game. On many sites, when you close a game you need to go back through menus and scroll through pages to find where you were. It’s a small annoyance, but the little things can make a big difference. Once inside, your options include a full selection of table games, live table games, video poker, scratch cards, and, of course, slots. There is a huge selection of slots available from what seems like every provider in the industry. It is possible to search the slots section by name, but unfortunately not by provider. From clicking around a bit, I was able to find games from Pragmatic Play, Play’n Go, NetEnt, Ainsworth, iSoftBet, Just For The Win, NextGen, and more. If slots are your thing, you’re going to find enough to fill your appetite for a long, long time. As far as deposits and withdrawals go, there are a wide variety of options, most of them with instant processing. At the time of writing, WixStars processes transactions via Mastercard, Visa, Neteller, Skrill, Paysafecard, Trustly, Giropay, Euteller, Mister Cash, EPS, InstaDebit, EntroPay, bank transfers, and wire transfers. They also accept many currencies including US Dollars, British Pounds, Australian Dollars, Euros, and more. Funding your account shouldn’t be a problem, and fast casino cashouts will be available to the majority of players. As I mentioned above, WixStars doesn’t have a function to search their slots by provider, so it’s a bit difficult to know exactly who all of their video slot providers are. We do, however, have the return to player (RTP) rates for many of the providers I saw as I browsed through their games. So if you’re curious about what to expect from any WixStars’ video slots, head over to our RTP casino database and chances are that we’ll have the numbers for you. WixStars Casino has some fairly generous welcome bonuses. The following information is based on information provided for players in the UK. Players outside the UK may see different bonus options and terms. 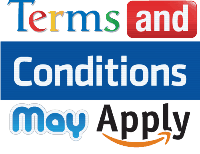 Either way, be sure to check the site and read the bonus terms and conditions. WixStars Casino also offers a VIP program consisting of six tiers. The first four tiers of the program can be reached by earning points through regular play. The top two tiers are by invitation only. Reward points earned through the VIP program can be redeemed for bonuses and benefits. WixStars offers support seven days per week from 06:00 GMT to 23:00 GMT via live chat, telephone, and email. There is also a FAQ page available for some of the most common queries a player might have. WixStars Casino is licensed by both the Malta Gaming Authority (MGA) and the UK Gambling Commission (UKGC). Both entities are highly respected regulators of online gambling organisations. Holding these licenses indicates that WixStars runs a legitimate operation with fair games. Is WixStar Casino A Scam? Being that WixStar is licensed by two of the most strict gambling regulatory bodies in the world, it’s safe to say that this casino is not a scam. WixStar is also working with some (perhaps most) of the best known and most trusted gaming providers and payment processors. Aside from the fact that the bonuses offered here aren’t exactly spectacular, there is nothing else that would give me reason to think twice about depositing and playing. As I said above, my overall experience at the WixStar Casino was very good. I would recommend them to anyone looking for a new place to wager and have some fun. They’ve got all the bases covered.